Over the years, our unique little shop has caught a bit of attention from the news media. We are proud of the example below. Click on any article image to bring up the readable article in a new window. 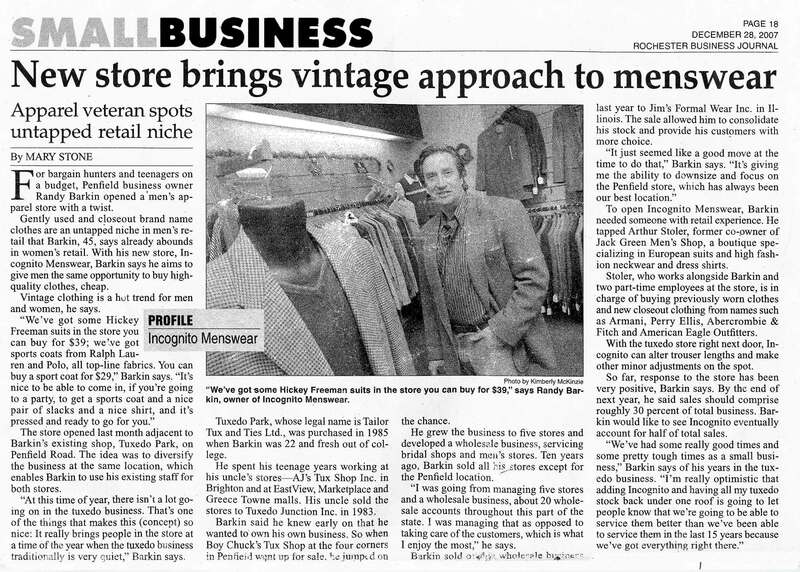 “New Store Brings Vintage Approach to Menswear”, December, 2007. A very nice article that appeared a month after we opened our first shop. 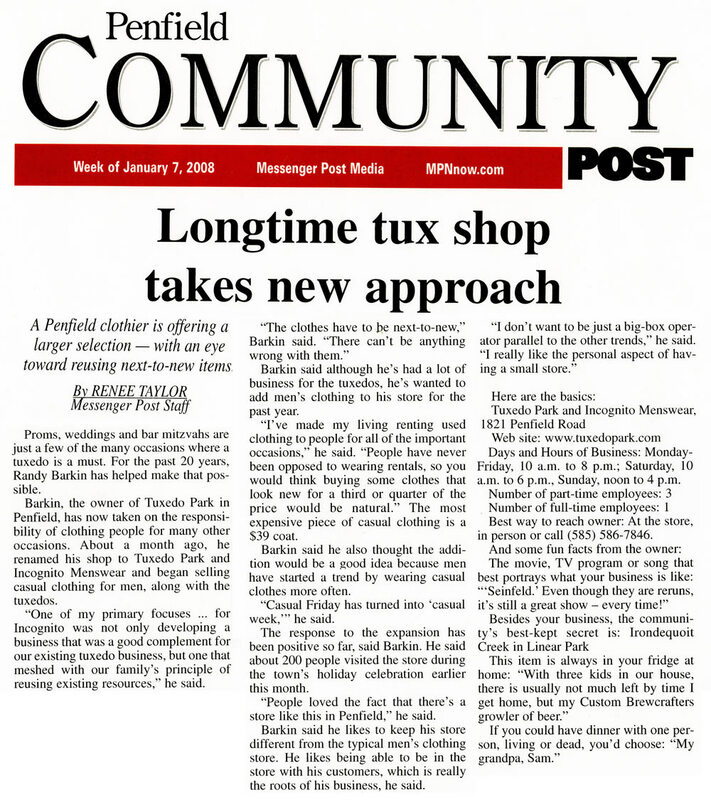 “Longtime Tux Shop Takes New Approach”, January, 2008. 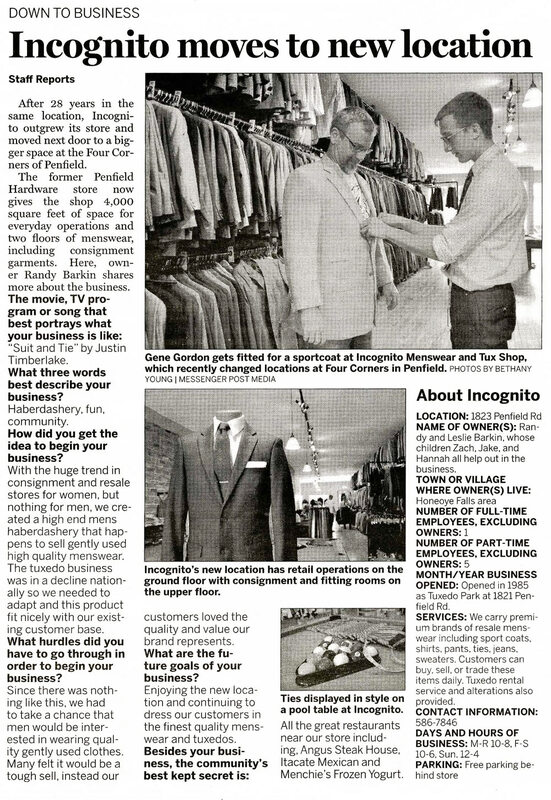 This Penfield Post article received very positive response from our customers. “A Better Fit”, August, 2013. The first media article about our new, expanded shop. Click the image below for the full article. 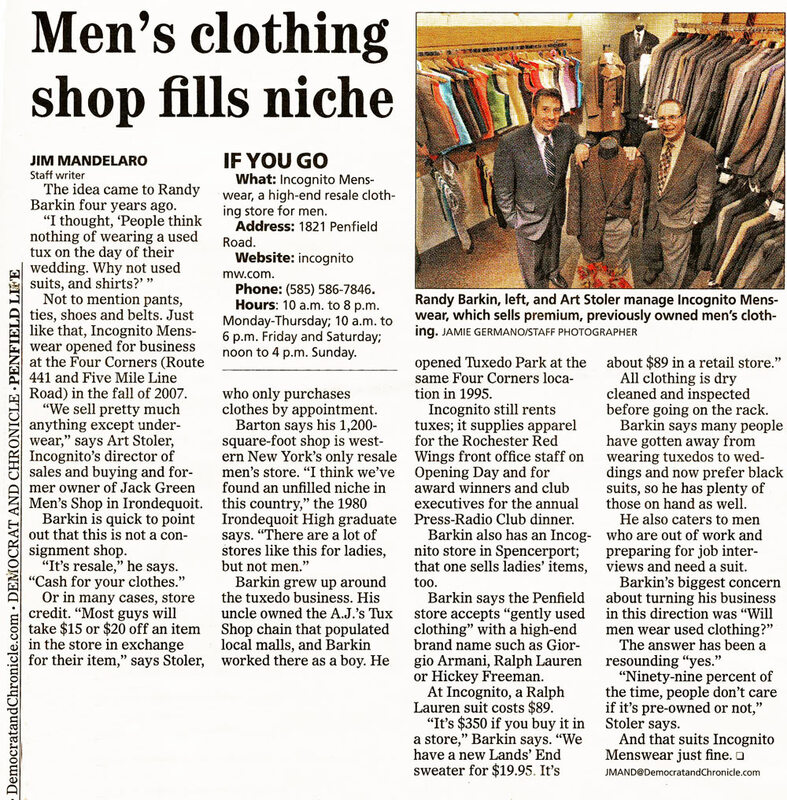 “Men’s Shop Fills Niche”, August, 2011. This nice little piece appeared four years after we opened our doors.